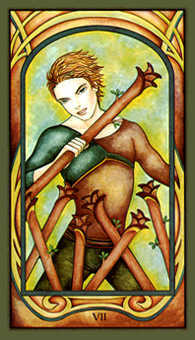 A positive attitude and strong potential will prime you to achieve your personal best. 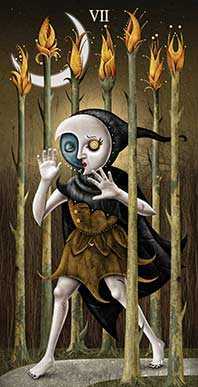 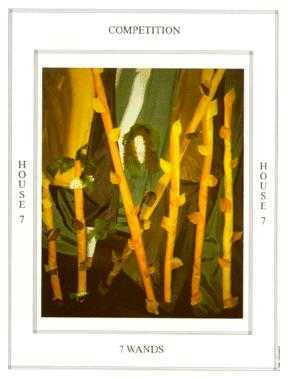 Fenestra deck © U.S. Games Systems, Inc. 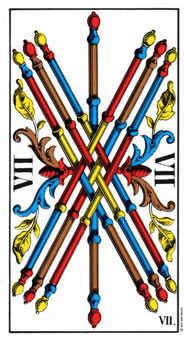 The Seven of this suit generally shows a person who is nearly always successful in working his or her will in the world. 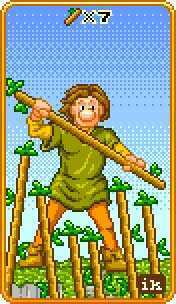 This is a person who is truly gifted, standing head and shoulders above the rest. 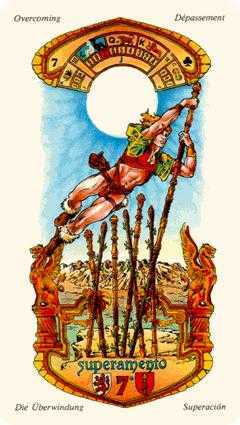 This person is sets standards and sets examples that exceed previous conceptions of what is possible. 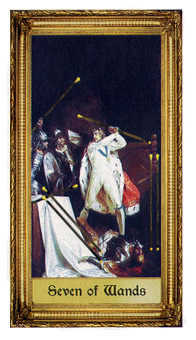 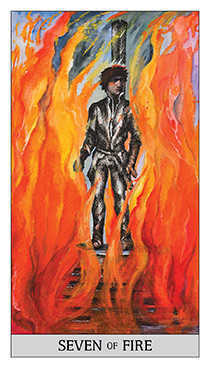 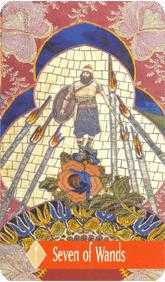 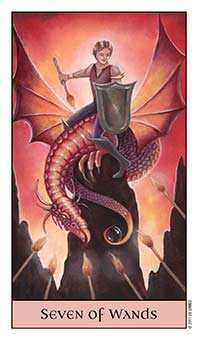 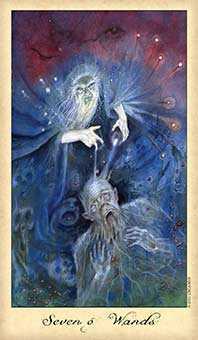 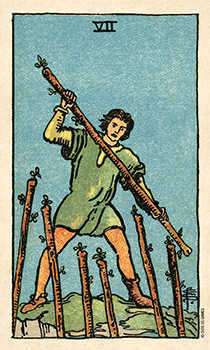 In historical Tarot, this person would most likely be portrayed as an admired and feared warrior who has vanquished his adversaries against all odds. 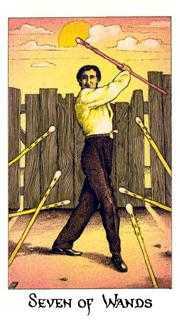 Such an outstanding feat could just as easily apply to the world of the media, politics or business. 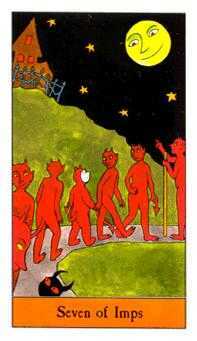 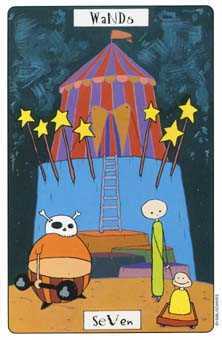 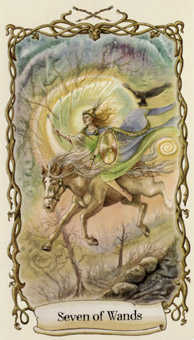 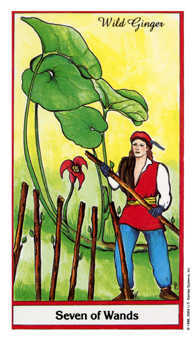 Beware of conceitedness that can be hinted at by this card. 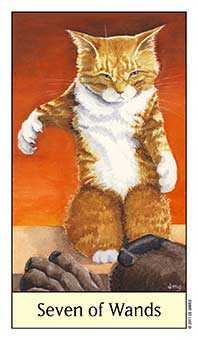 Being successful does not make you invincible, and it does not protect you against errors! 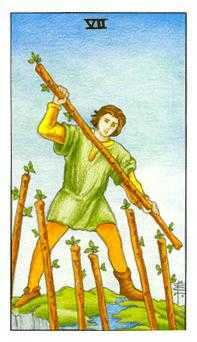 Enjoy your "fifteen minutes of fame" and then get back to your tasks, or your head will swell, to the detriment of your ability to succeed again. 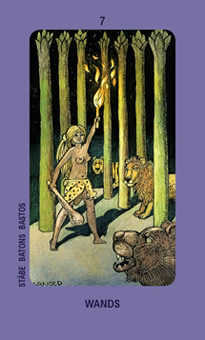 Rouse your ambition and the competitive aspects of your nature to push beyond limits. 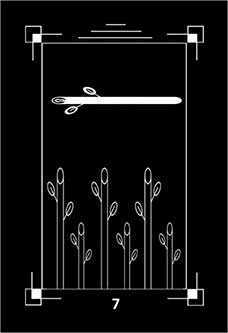 Launch yourself. 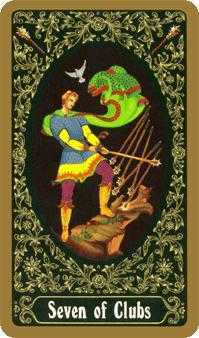 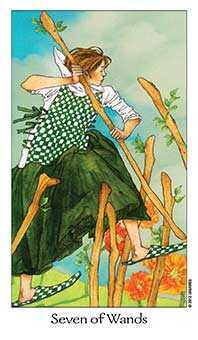 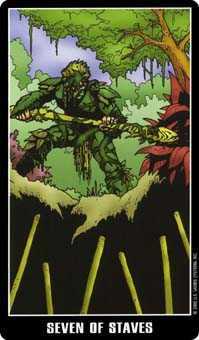 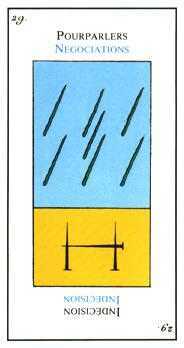 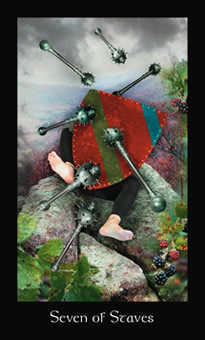 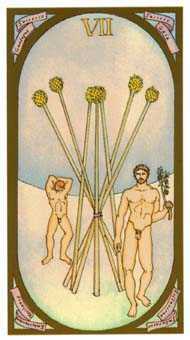 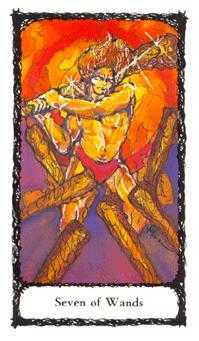 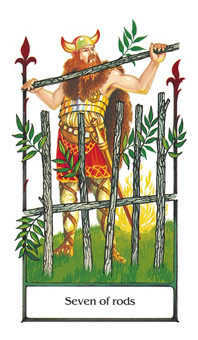 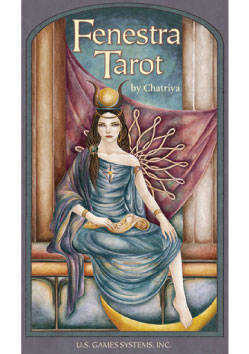 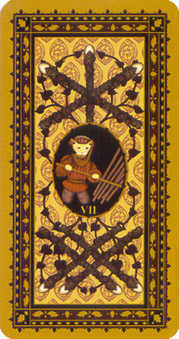 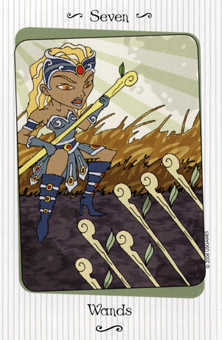 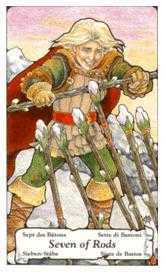 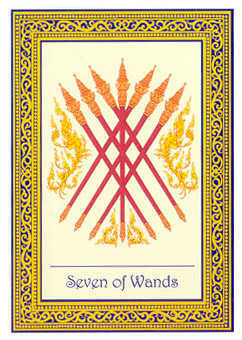 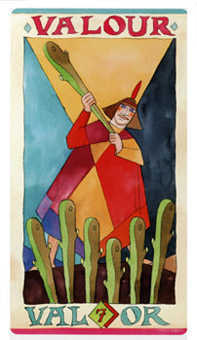 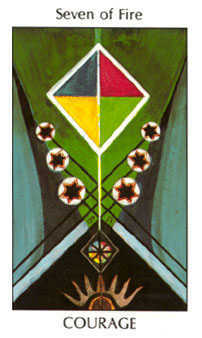 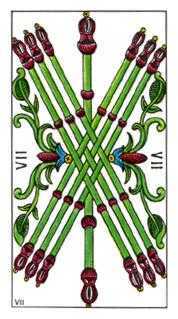 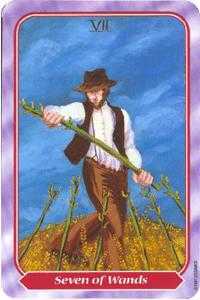 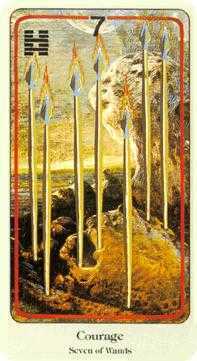 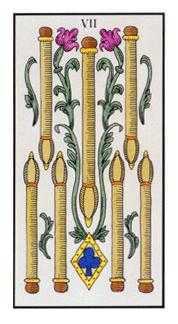 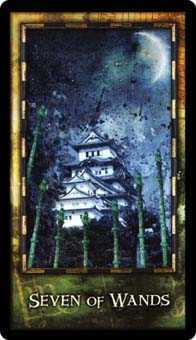 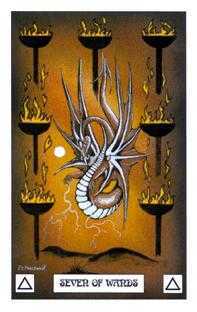 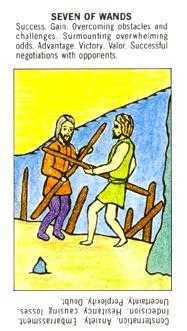 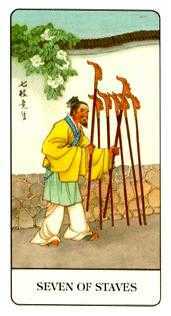 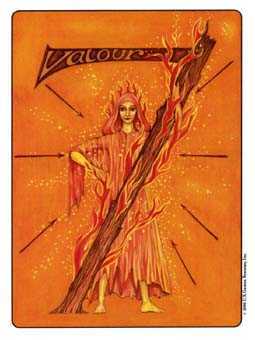 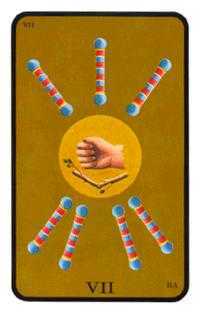 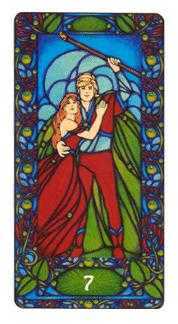 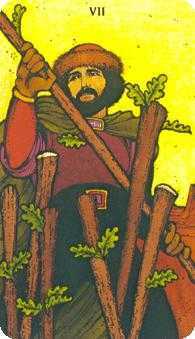 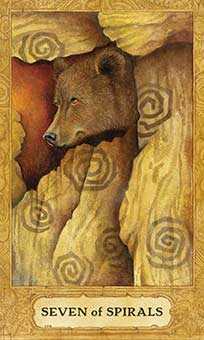 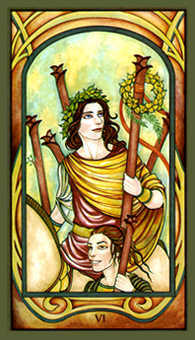 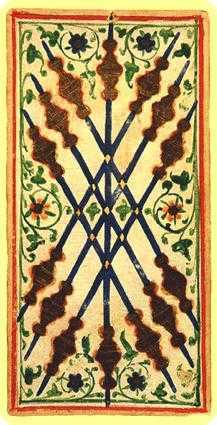 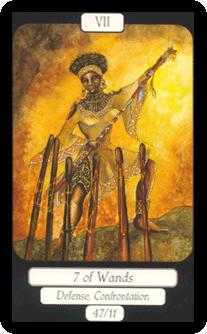 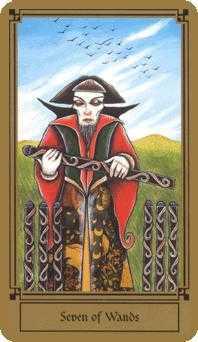 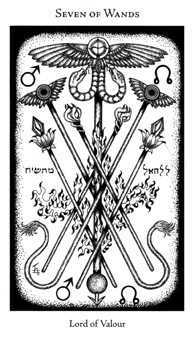 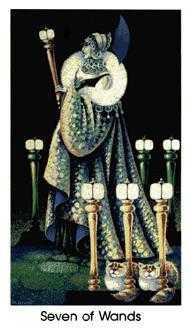 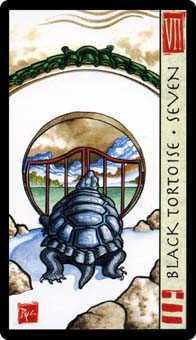 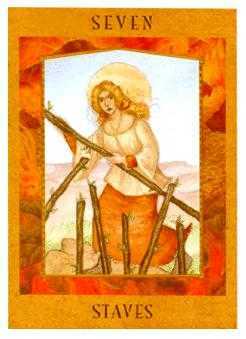 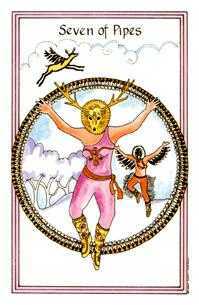 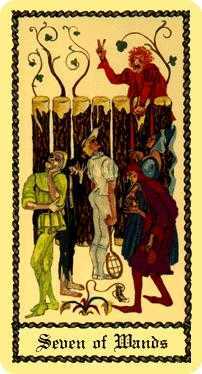 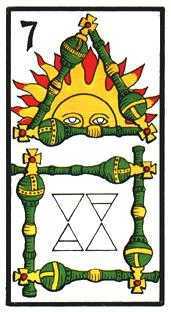 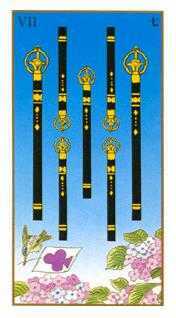 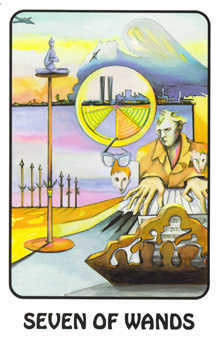 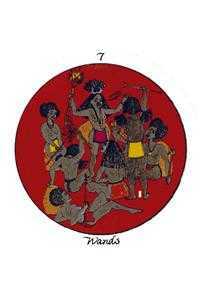 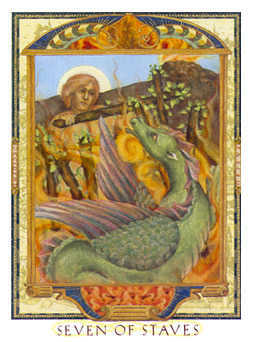 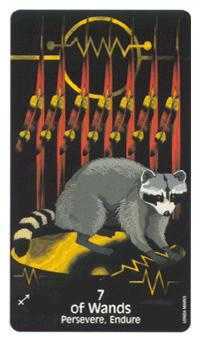 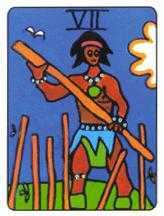 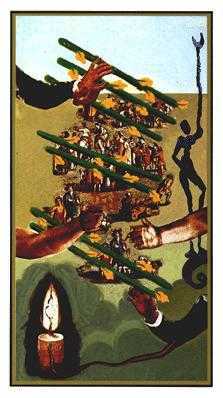 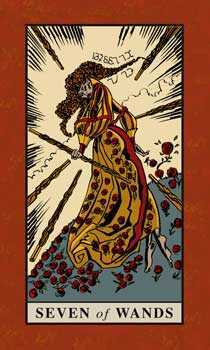 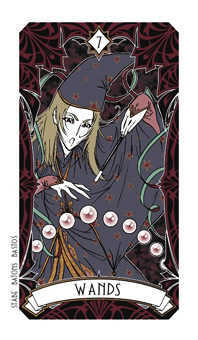 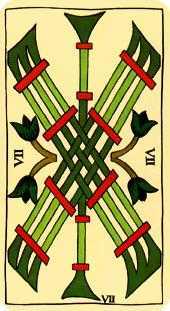 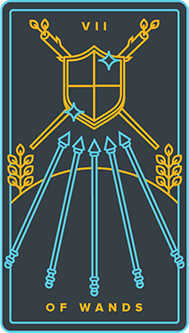 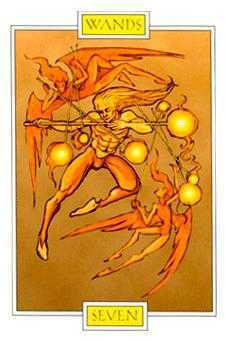 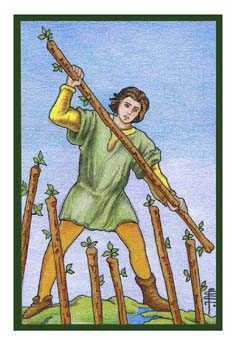 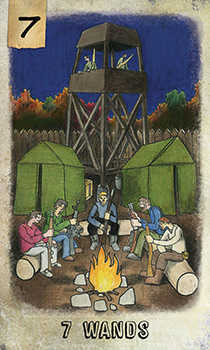 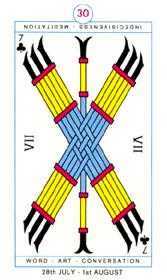 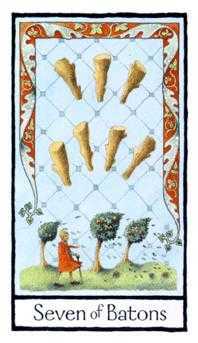 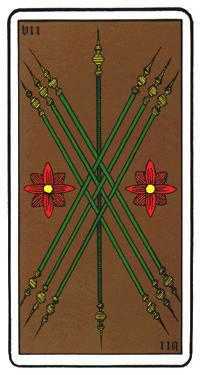 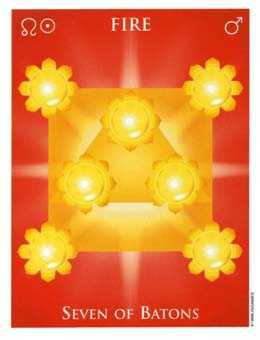 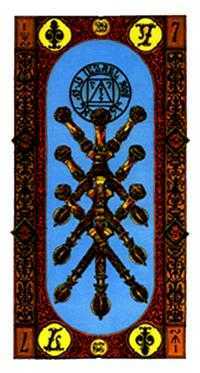 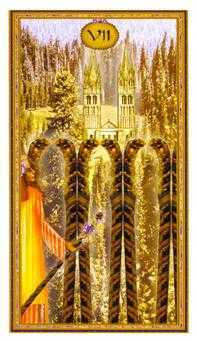 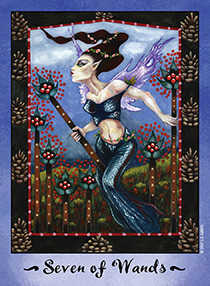 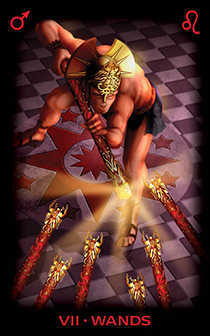 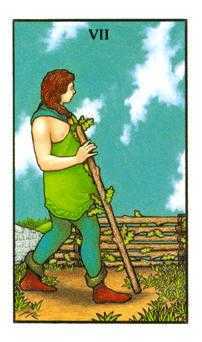 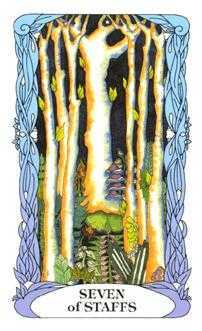 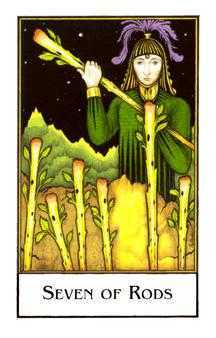 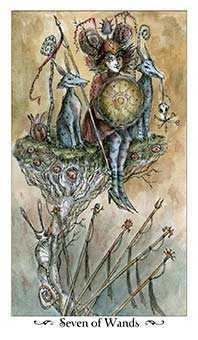 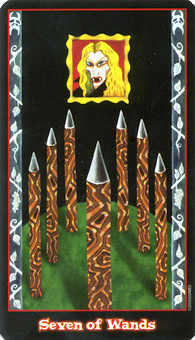 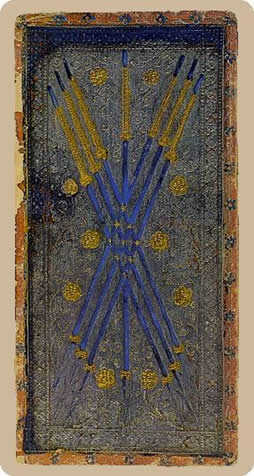 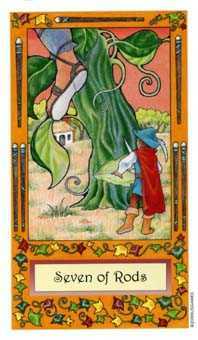 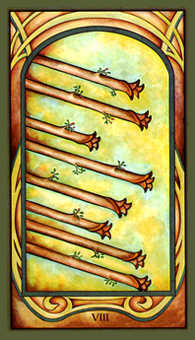 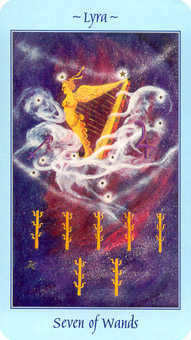 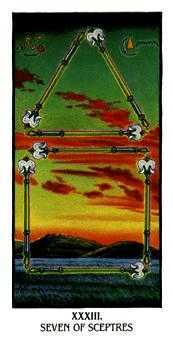 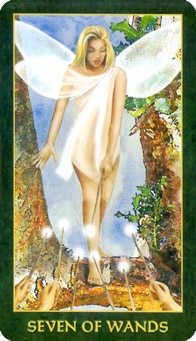 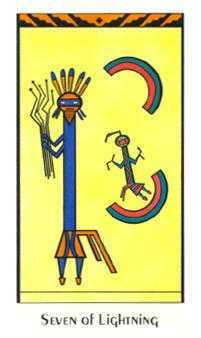 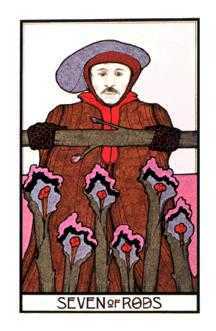 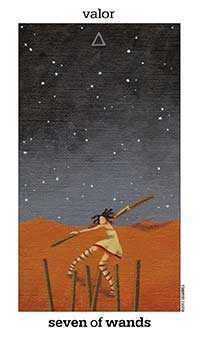 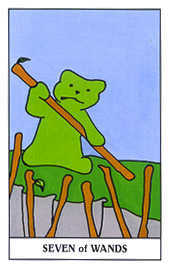 The Seven of Wands in this position tells you that the time for peak performance is now. 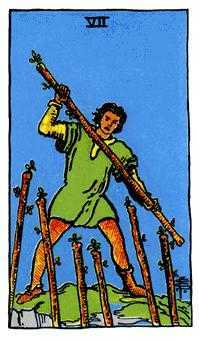 Even if slightly unprepared, you may want to push yourself beyond your usual limits, thinking in larger terms and tweaking your competitive nature. 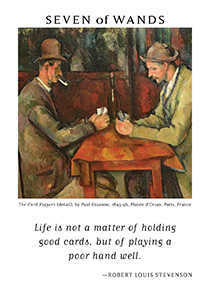 Time and effort spent in preparation could pay off handsomely. 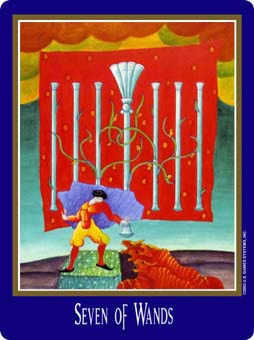 You might be the one who vaults right over the heads of those who thought they could outdo you. 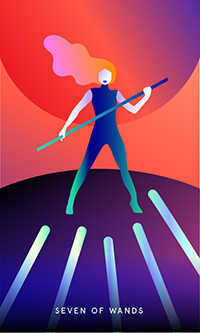 Move beyond rhetoric and verbal challenges. 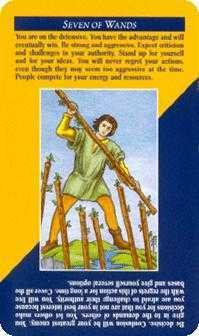 Now could be the moment to prove what puts you head and shoulders above the rest by demonstrating it in action.